Books /Jigsaw Puzzle Books /"Snowmen At Night"
Here's the New York Times bestseller in an irresistable new format! 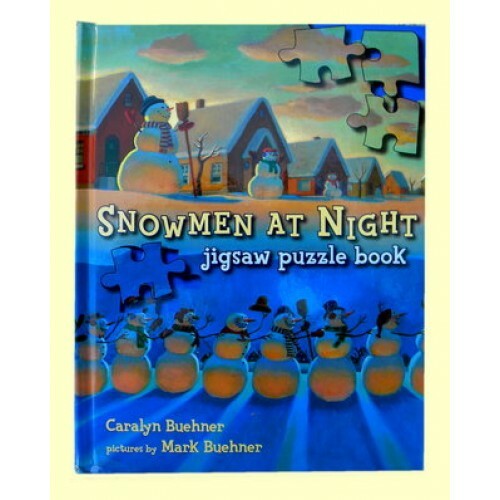 The complete text of "Snowmen At Night" is accompanied by 6 terrific puzzles, w/pcs. big enough for preschoolers' little hands. Let the snowmen games begin! 9 1/4" x 7 1/4" Board book.